This is the 6th annual Verizon Rock The Backpack giveaway! This is being held by Verizon Cellular Connection and happening July 22nd between 1-4 pm. They are giving away 235,000 backpacks full of school supplies! Call your local Cellular Connection to see if they are one of the 1,300 stores participating and save the date! One per child, while supplies last. This offer will last as long as the company's supplies do. 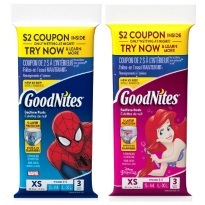 Thanks to the generous folks over at Huggies, you can now get your hands on a free pack of their Goodnites diapers. In order to claim this offer, just head on over to their order page and let them know what sizes you need and where you want them to send your freebie. This sample will most likely take 6 to 8 weeks to arrive at your door. This offer will last as long as the company's supplies do. Please note: If you have trouble loading the page when you copy and paste your link, try to either clear your cache, use another browser or use incognito mode. That should clear up and issues. This is a great freebie from the generous folks over at Pengins for Everyone. 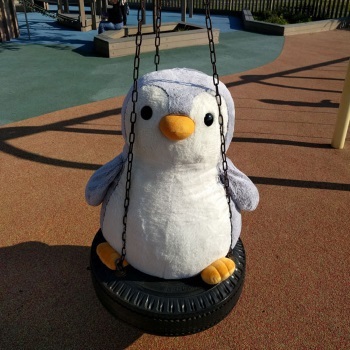 They are giving away free stuffed penguins. Would you like to claim this freebie for yourself? If so, just visit their order page to get it while it lasts. This sample will most likely take 6 to 8 weeks to arrive at your door. This offer will last as long as the company's supplies do. You can snag this freebie right here. See the where the offer was posted on their site over here. 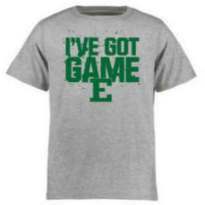 Right now, thanks to the EMU Eagles, you can get up to five free t-shirts. Visit their site, choose the size shirts you would like, enter in your mailing info and hit the submit button to claim yours. Simple as that. This sample will most likely take 6 to 8 weeks to arrive at your door. This offer will last as long as the company’s supplies do.